A liberal candidate was elected Tuesday on Wisconsin’s Supreme Court, and Republican Gov. Scott Walker tweeted shortly afterwards that this is a sign that his party is “at risk of a #BlueWave” in November’s midterm elections. Rebecca Dallet, the candidate with Democratic support, defeated conservative Michael Screnock in the race for a 10-year term on Wisconsin’s high court. Screnock conceded the race, which he lost by double digits. The candidates did not run with party identifications. Dallet’s victory marked the first time in 23 years that a liberal candidate who wasn’t already on the court had earned a seat on the seven-judge court. In 2016, President Donald Trump and Republican Sen. Ron Johnson both won in Wisconsin. Following victories by Democratic candidates in special Senate and House elections in recent months — like Doug Jones in Alabama and Conor Lamb in Pennsylvania — the party seems to be gaining an edge over the GOP ahead of the midterms. Both Jones and Lamb’s victories came in areas Trump won by substantial margins in 2016. Democrats need to “flip” 23 Republican seats to regain control of the House of Representatives, and 25 GOP seats are in districts that went to Hillary Clinton in 2016. In November, Democrats easily won the Virginia governor’s race and almost reversed control of a state assembly that had been two-thirds Republican. Walker, who is up for re-election to a third term next fall, cautioned his fellow Republicans to remain hopeful and get organized in order to win in the midterms, which Russia is rumored to interfere in just as they allegedly did in 2016. “Tonight’s results show we are at risk of a #BlueWave in WI. The Far Left is driven by anger & hatred — we must counter it with optimism & organization. Let’s share our positive story with voters & win in November,” he said on Twitter. Big government special interests flooded Wisconsin with distorted facts & misinformation. Next, they’ll target me and work to undo our bold reforms. We need to keep moving #WIForward & make sure a #BlueWave of outside special interest money doesn’t take us backward. 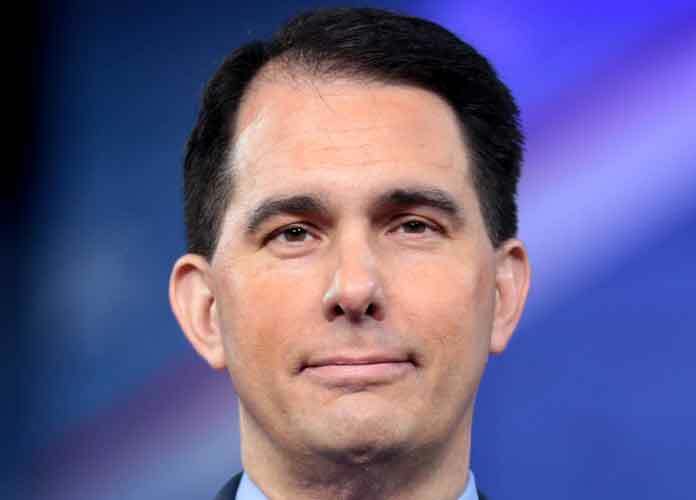 Walker, a 2016 presidential candidate, has been Wisconsin’s governor since 2011.